According to many students of the Chinese language, the particle le (了) is among the most difficult Chinese grammatical particles to master. 了is not an element to represent the past tense (like many think); it is a particle that does not have a meaning or a concrete term. 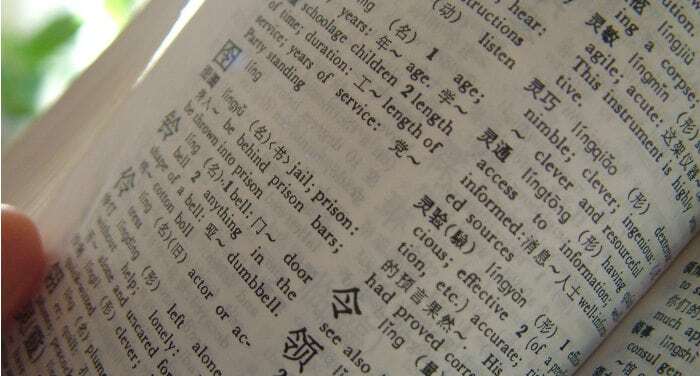 In structural terms, 了 can show up in two different positions within a phrase. 了can be found right after a verb. In this position, 了 indicates the perfect aspect of the verb, or represents the action expressed by the verb as a realized event; the realized event can be situated in the past or in the future. If the verb in question is the main one of the phrase, it means that the action was realized in the past. Tā kàn le yī běn shū. Dào le Zhōngguó, gěi wǒ xiě yī fēng xìn. Once you arrive in China, write me a letter. 了 placed at the end of a phrase indicates a change of situation or a new condition. In this case,了 becomes a modal particle. It began to rain (the particle 了 implies that it wasn’t raining before and at the moment of the wording it is). Wǒ juédìng bù gēn tā shuōhuà le. I decided not to speak to him anymore. The particle 了 can be used with adverbs such as yǐjing (已经) and dōu (都) (when this last one is used with value of “already/by now”) to express a phrase that implies the meaning of “already/by now”. Tā xué zhōngwén yǐjing sì nián le. He’s been learning Chinese for four years already. Note that the adverbs yǐjing (已经) and dōu(都) when used with the value of “already/by now”, can be omitted without affecting the meaning of the phrase. Tā qī shí suì le. He’s already seven years old. When the verb followed by the perfect particle 了 is found in a subjective phrase – which depends on the principal one – one can derive that the there is an existing relationship between the action expressed in the subjective and that which is expressed in the principal phrase. When the second action takes place immediately after the completion of the first, the particle 了 is used to indicate its completion. In the principal phrase you’ll find the adverb (就) “then” to underscore the consequence between the two actions. Jiù (就) also implies a certain immediacy. Kàn le shū, tā jiù qù shuìjiào. After having read, she goes to sleep. Kàn le shū, tā jiù qù shuìjiào le. After having read, she went to sleep. Wǒ māma chī le fàn jiù chī yào. My mother eats and then takes her medicine. Wǒ māma chī le fàn jiù chī yào le. My mother ate and then took her medicine. The construction with jiù 就 can also refer to the future. Tāmen míngtiān xué le zhōngwén jiù qù wán. Tomorrow, after studying Chinese, they’ll go have a good time. Wǒ hòutiān kàn le bǐsài jiù dào cāntīng qù chī fàn. After tomorrow, after watching the race I’ll go eat at the restaurant. Wǒ míngtiān zuò le liànxí jiù qù dǎ lánqiú. Tomorrow, after doing the exercises, I’ll go play basketball. Huǒ chē jiù yào chūfā le. Kuài yào xià yǔ le. Tā kuài yào chī fàn le. Jiù yào xià xuě le. The vacations are about to arrive. Shèng dàn jié kuài dào le. Christmas is about to arrive. Xiǎo háizi men yào kū le. The babies are about to cry. When one indicates an action that took place in the past, we must use méi (没), without the particle 了, as you saw in the examples above. Méi (没) is, moreover, the only adverb that can negate the verb yǒu (有) “to have/to be there”. Zài zhèlǐ méi yǒu shū. There are no books here. He doesn’t have any money. When yǒu (有) is negated by méi (没) , assuming the value of “not to have/not to be there”, you can omit yǒu有. He no longer has any money. According to some scholars, the particle 了 comes from the character liao (了) which means “to end, conclude” and the two syllable word liao jie (了结), which means, to the point, “to bring to an end, to conclude, to finish” but also “to be deceased”. Although these characters (with this function) are now considered archaic, it is worth mentioning them since, most likely, it is from these ancient meanings that we get the current function of 了: the mark of the perfect aspect of the verb, that is the realized aspect (and for which is ended) of the verb.